In 2001, five women set out to make a lasting impact in the lives of women and girls in Northeast Florida. Today, more than 470 Members bring that vision to life. WGA membership is open to all women. Each of our Members brings a unique perspective and set of experiences that improve our work. WGA is a diverse and inclusive community. 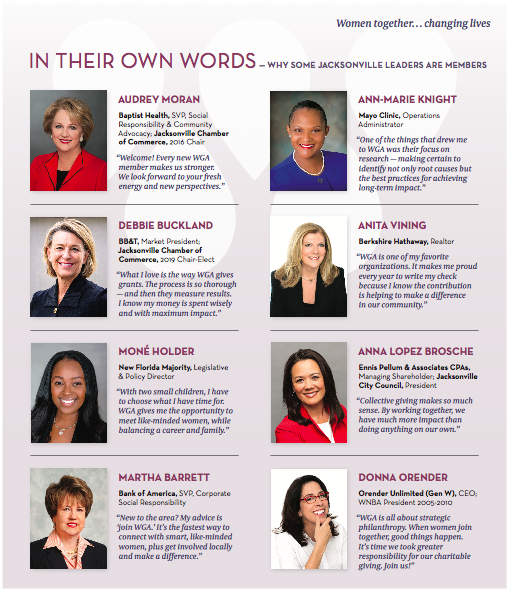 We welcome all women who want to make a difference in the lives of women and girls in Northeast Florida. 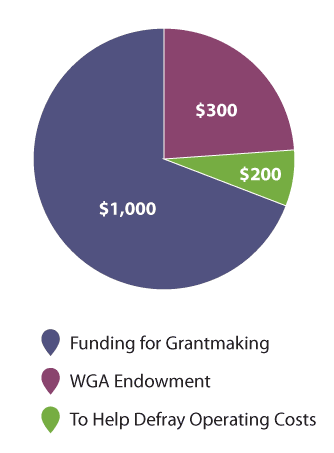 Membership in WGA has benefits that begin with philanthropy and extend far beyond. Talking with our Members, many share the same reasons for affiliation. Perhaps some of these speak to you. Improve the lives of women and girls in Northeast Florida – Need we say more? Women have a huge impact on our families, community and the next generation of both women and men. Participate in research-based philanthropy – With WGA, you can rest easy knowing your dollars are spent in a responsible, effective way. Our funding process starts with focused research and continues with disciplined grantmaking and ongoing grant evaluation. Magnify your impact – Through the power of collective giving, your annual gift of $1,500 has the impact of more than $400,000. Nowhere else can a relatively modest gift do so much to assist organizations and the women and girls they serve. Tailor your involvement – At WGA, you can tailor your involvement from year to year as your life and responsibilities evolve. Whether you prefer just writing a check or also becoming deeply involved, you're free to do as much or as little as you like. 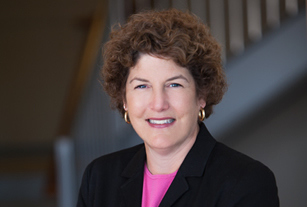 Learn about issues and philanthropy – WGA offers many educational opportunities to increase your understanding of issues, strategic philanthropy and community impact. 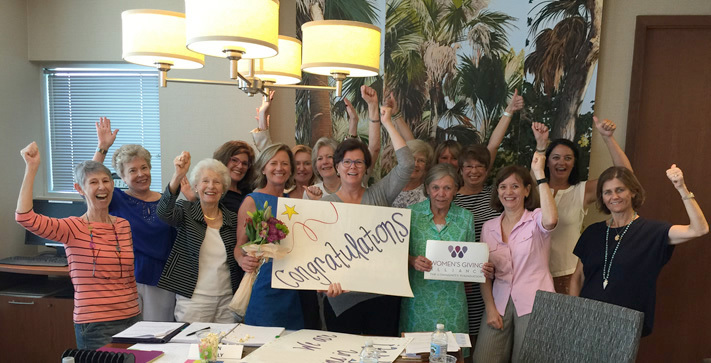 Meet like-minded women – Whether you're a newcomer or Northeast Florida native, WGA helps you connect with women in our community and beyond. Share your expertise, learn about pressing issues and build lasting relationships with new friends. Leverage operating costs and expertise – As an initiative of The Community Foundation for Northeast Florida, WGA benefits from their more than 50 years of experience and financial stewardship. Our principle of “one Member, one vote” ensures all Members have the same voice, regardless of total giving. All gifts to WGA are tax-­deductible. Through the power of collective giving, a single annual gift of $1,500 has the impact of more than $400,000. Nowhere else can this amount do so much to assist local nonprofit organizations and the women and girls they serve. $300 of your gift goes towards WGA’s endowment, ensuring community needs are addressed for years to come. The Community Foundation for Northeast Florida underwrites a significant portion of WGA operating costs to help your gift go even further. Your one-­time gift of $25,000 or more (payable over five years) provides a lifetime Legacy Membership and perpetual support for WGA. Through the Delores Barr Weaver 4Sight initiative, women 40 and under have an opportunity to join WGA at a one-time first year investment of $750. DBW 4Sight participants have full voting rights and are encouraged to attend educational and social events as well as serve on committees. From time to time, Members may choose to make an optional supplemental gift. These donations may be made to our grants pool, special programs and projects or WGA's endowment. Donate now. Questions? Browse our Membership FAQs or contact us.